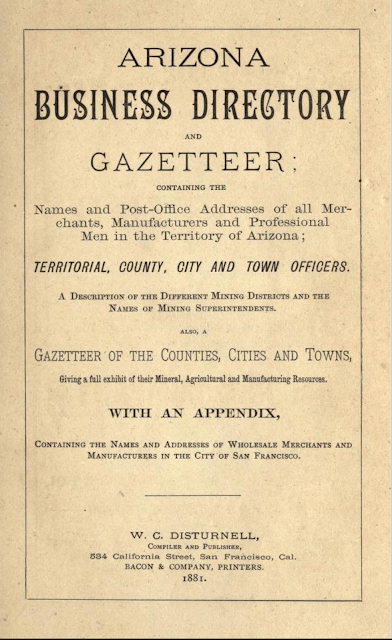 A gazetteer is a geographical listing of places or a directory based on names or other subject categories that is designed to be used in conjunction with a map or atlas. 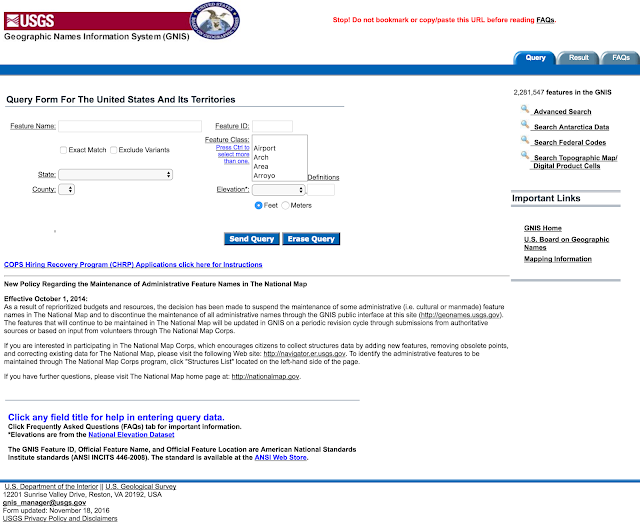 The most extensive current publication is the Wikipedia.org website. For example, here is a screenshot of a Wikipedia page for the city of Provo, Utah. 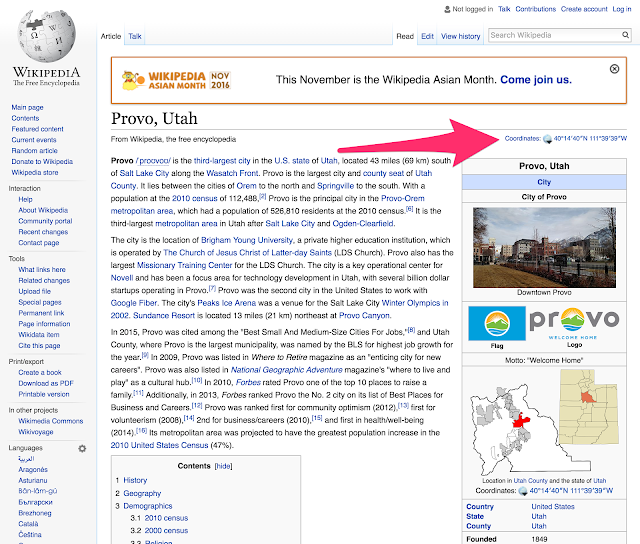 This example shows the Wikipedia article for Provo. In the upper right-hand corner there is a link to the geographic coordinates for the location of the town. Wikipedia now has over 5.2 million pages in English and millions of additional pages in other languages. Included in this vast online collection are articles about nearly every populated place on the planet. 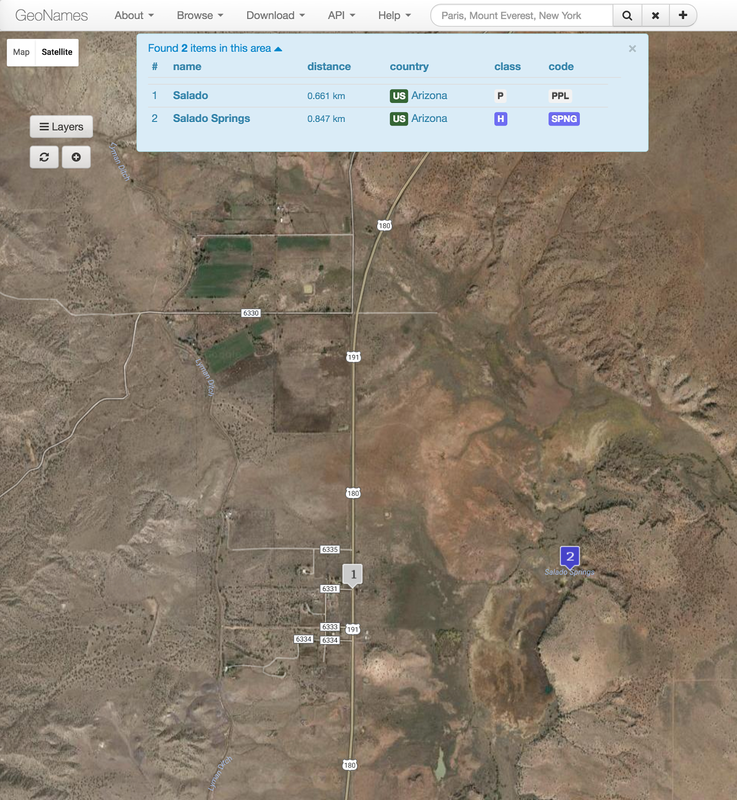 Tiny places like Nutrioso, Arizona with a population of 26 are included as well as all the major, large cities of the world. 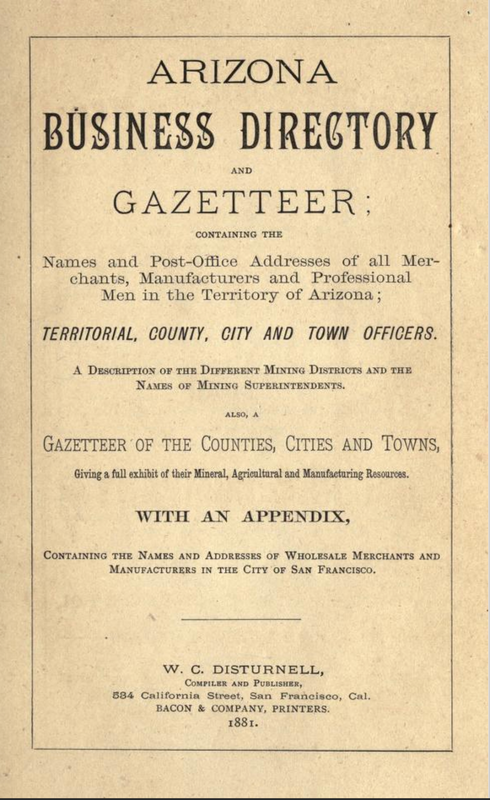 These articles constitute a worldwide gazetteer of previously unimagined scope. The geographic coordinates can be used to find the place on another Google product, Google Maps with satellite images in high resolution of the entire earth. 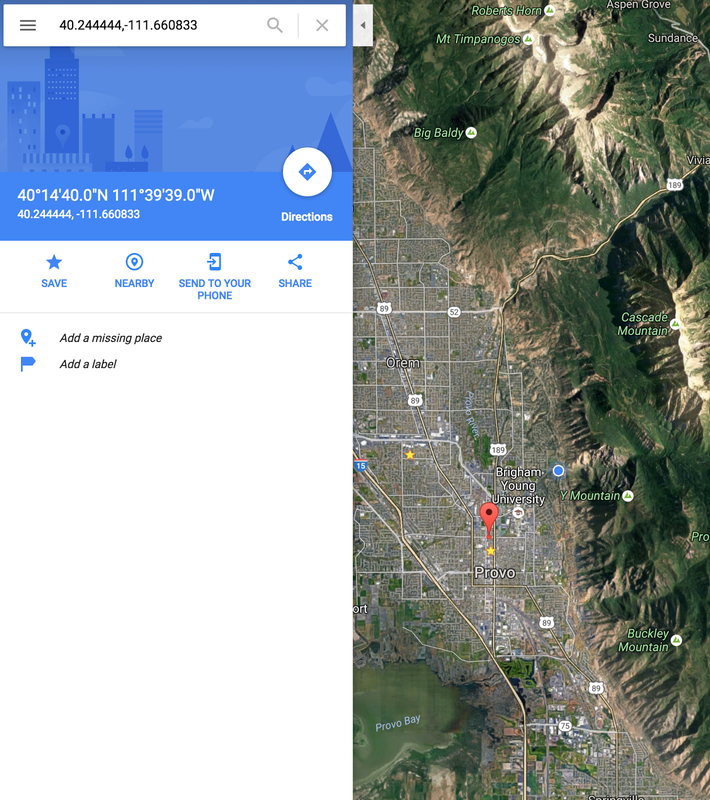 Here is a screenshot of the city of Provo, Utah first as a map and then as a satellite view. All you have to do is copy the coordinates and paste them into the search field. 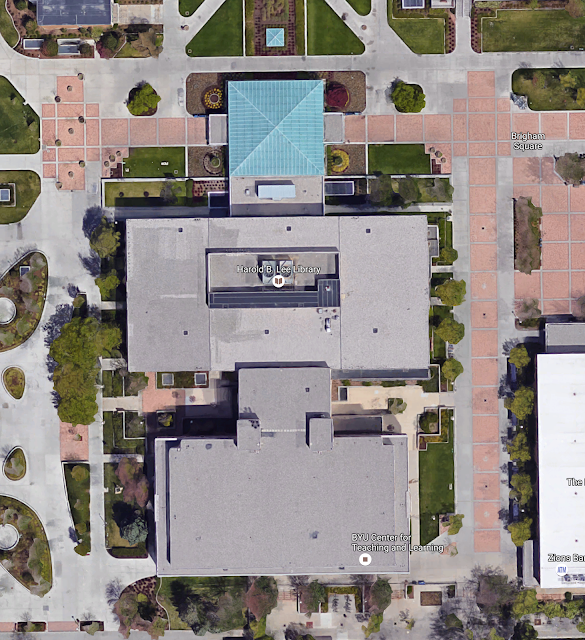 Now, here is the satellite view. Zooming in, you can see the Brigham Young University Library where I volunteer. 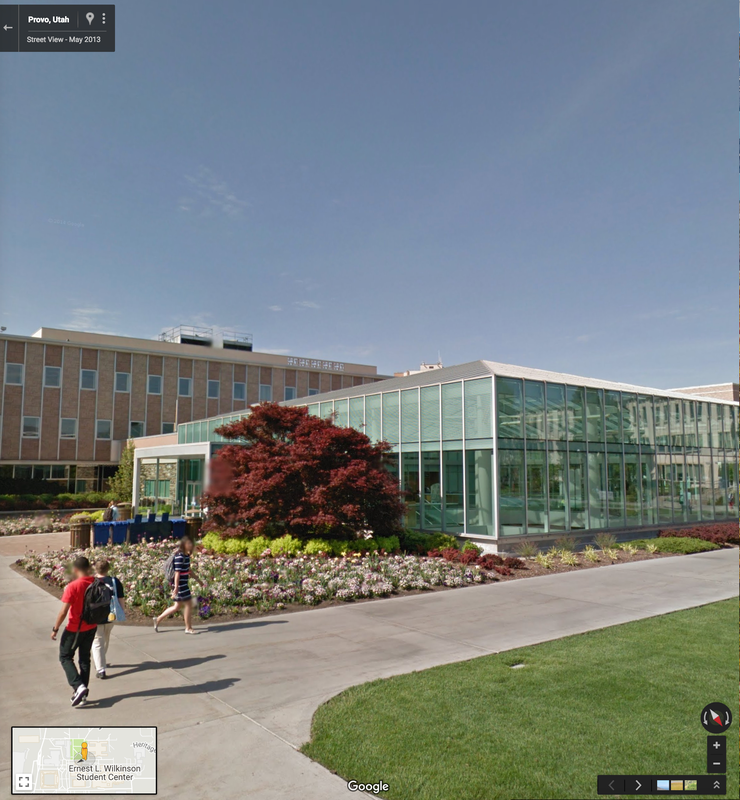 If you keep zooming in, you will finally get a street view of the campus where Google has walked around and taken 360 degree images of the entire campus. Here is the library from the street view. 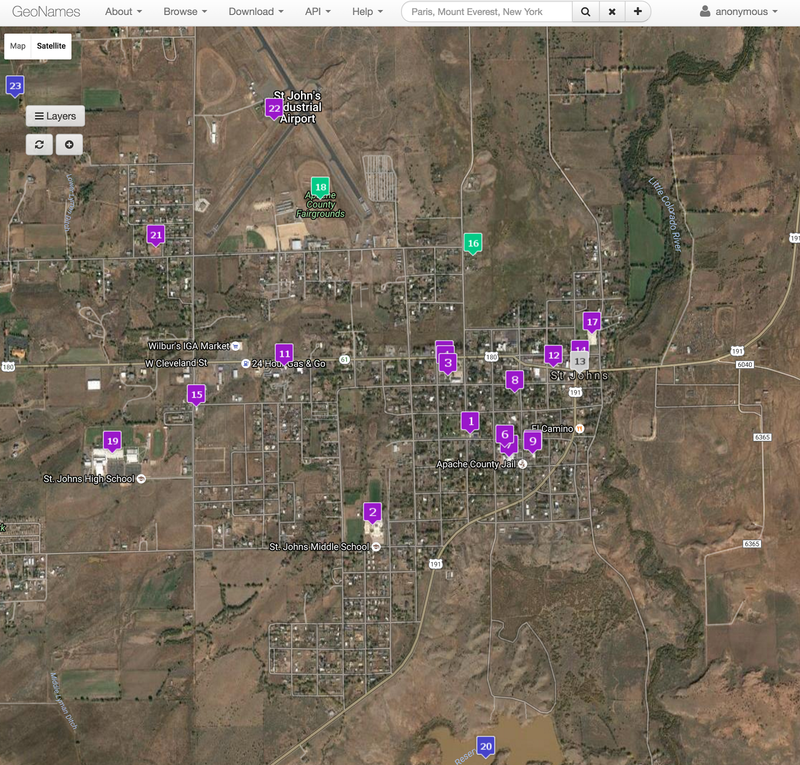 Now, from a genealogical standpoint, if I know where an event occurred in my ancestor's life, I can use Google Maps to find the location and street view to see the location. For example, here is the house built by my grandfather in about 1920 in St. Johns, Arizona. 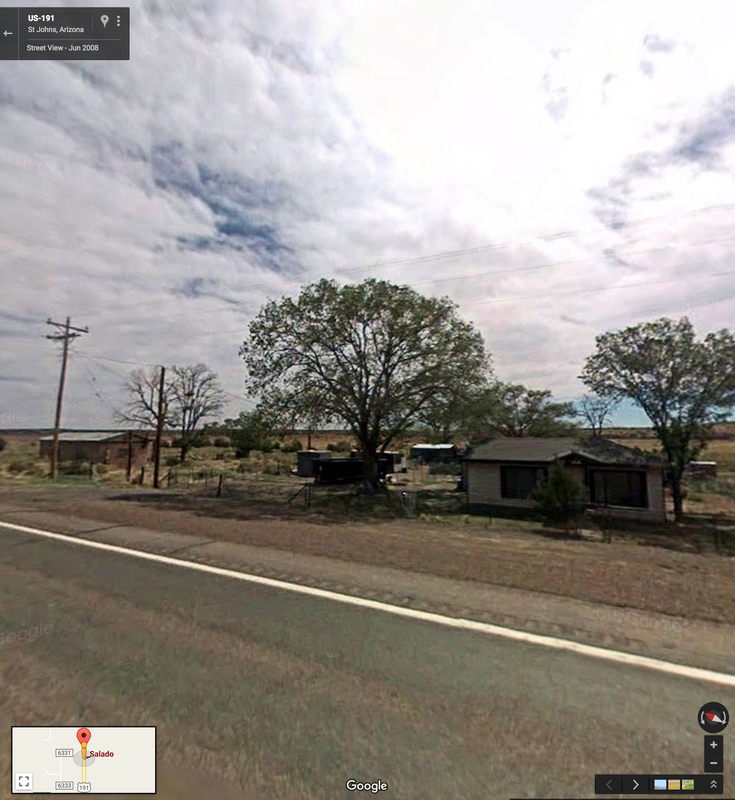 Let's suppose I wanted to find a place that I had no knowledge of such as a location mentioned where another grandfather lived called Salado, Arizona. Let's further suppose that I knew it might be somewhere around St. Johns, Arizona because my grandfather lived there and rode a bike to work. 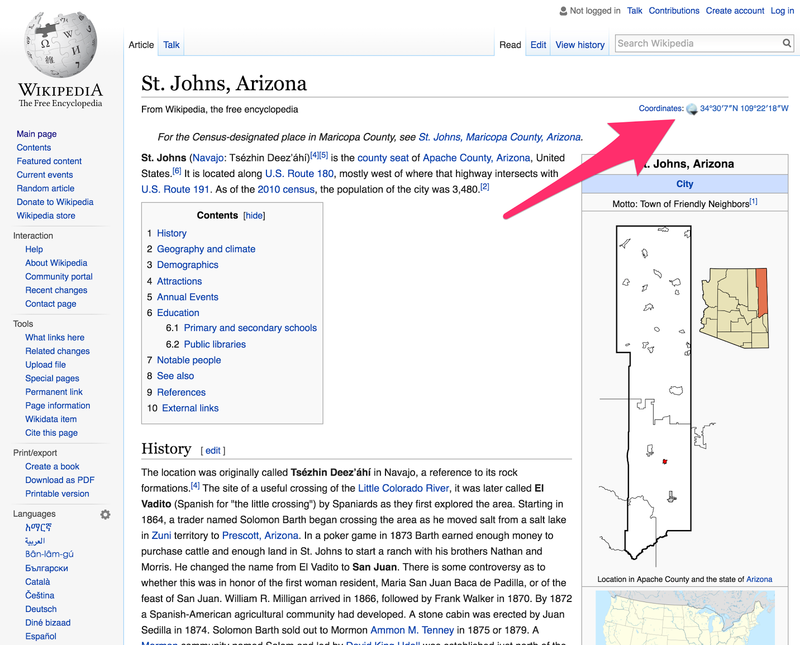 I can begin by looking for St. Johns, Arizona in Wikipedia.com. 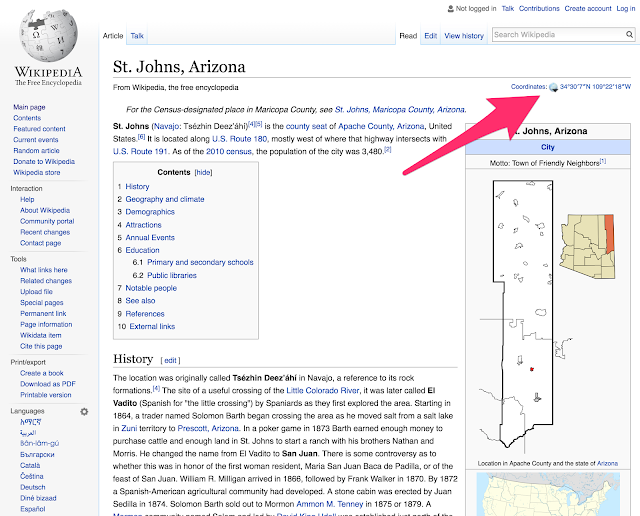 I can easily find the article by doing a Google search for "St. Johns Arizona Wikipedia." It may be very helpful to read about the town where some of my ancestors lived, but since I want to locate a place, I click on the coordinates again. This takes me to the GeoHack, a listing of all the places on the internet that have information about this location. I look down through the list of websites and choose GeoNames, an extensive listing of every place in the world on a map. Here is what happens when I click on the satellite view for GeoNames. This view gives me a satellite view of St. Johns with markers for geographically significant locations. 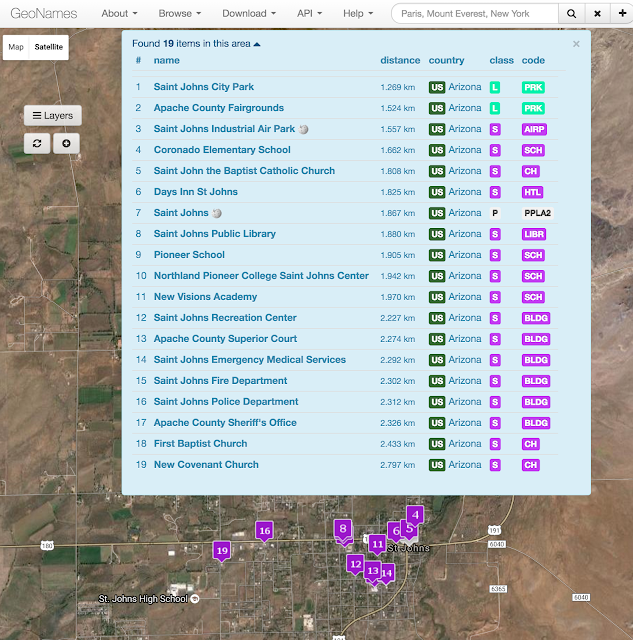 There is a pull-down menu to see a list of the tagged locations. 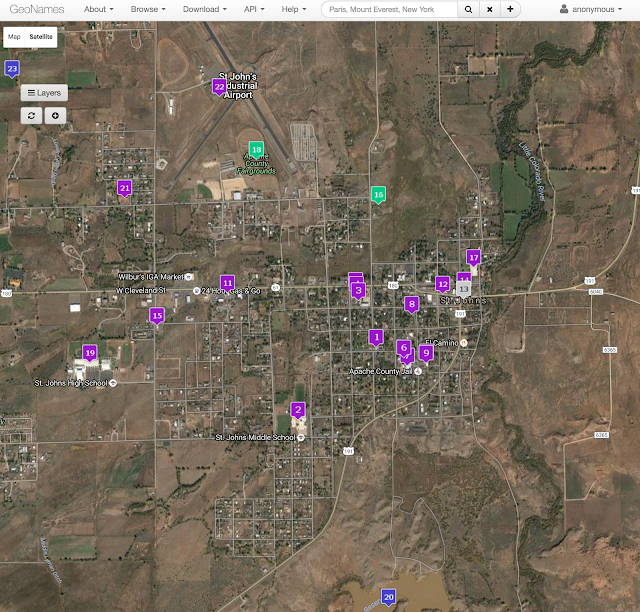 You can explore the area by clicking and dragging your mouse pointer around on the map. As you do this, the list will automatically change to show the locations. Just south of St. Johns, I found this marker for Salado and the Salado Springs. 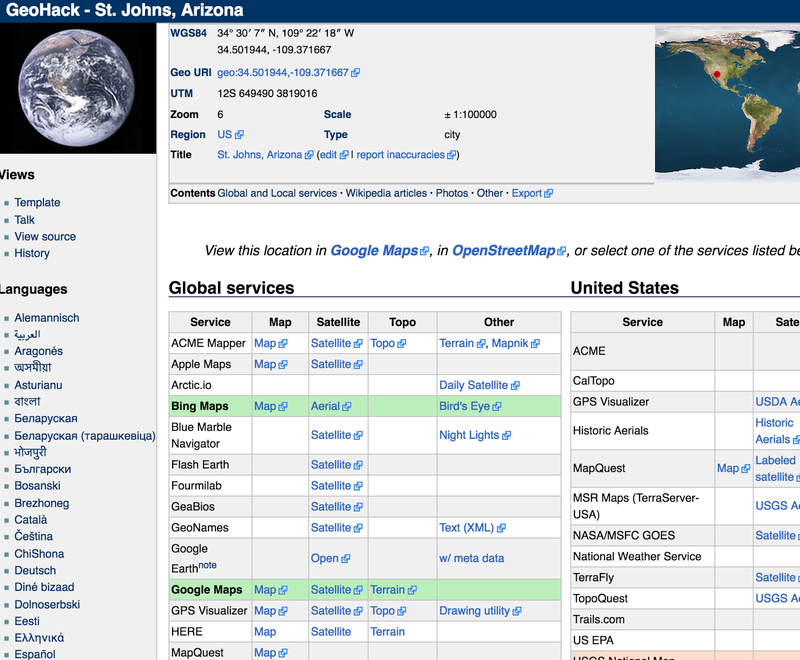 This process can be used to find practically any location on the earth. Now what if you have no idea where a place is located? 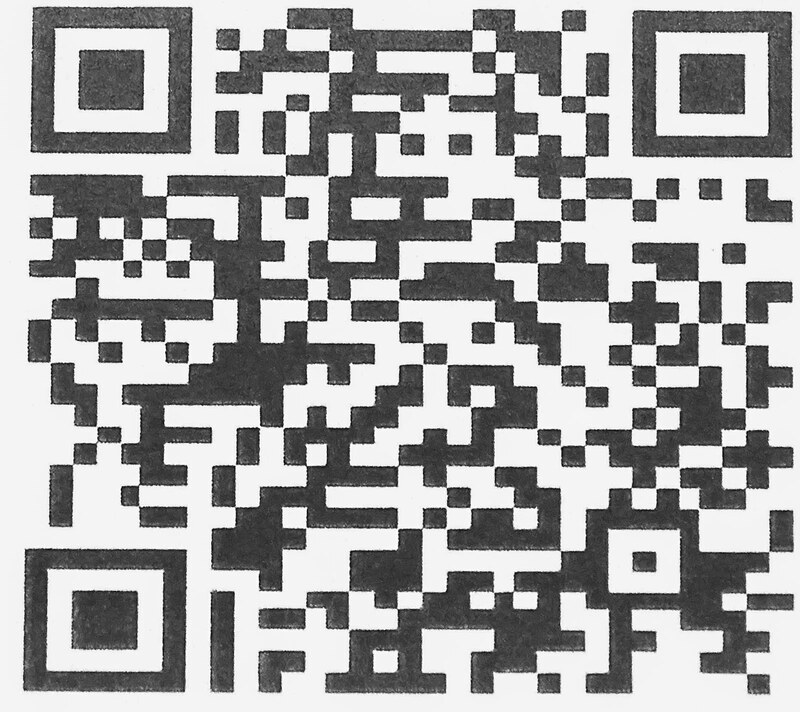 You can use the following procedure to location practically any place, anywhere. 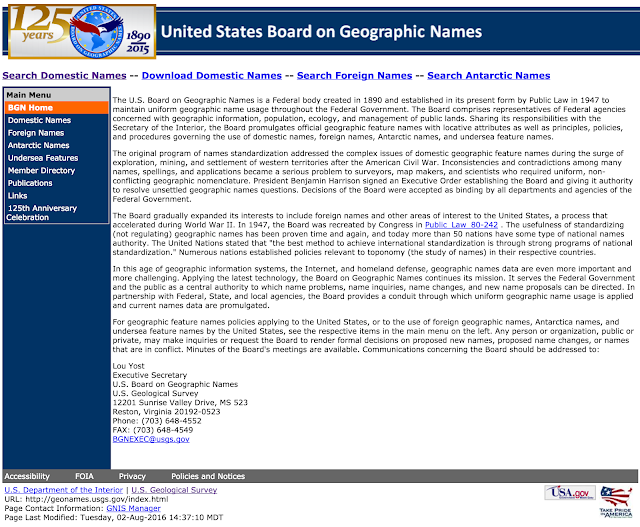 This website has both domestic and foreign names in a huge database of places all over the world. 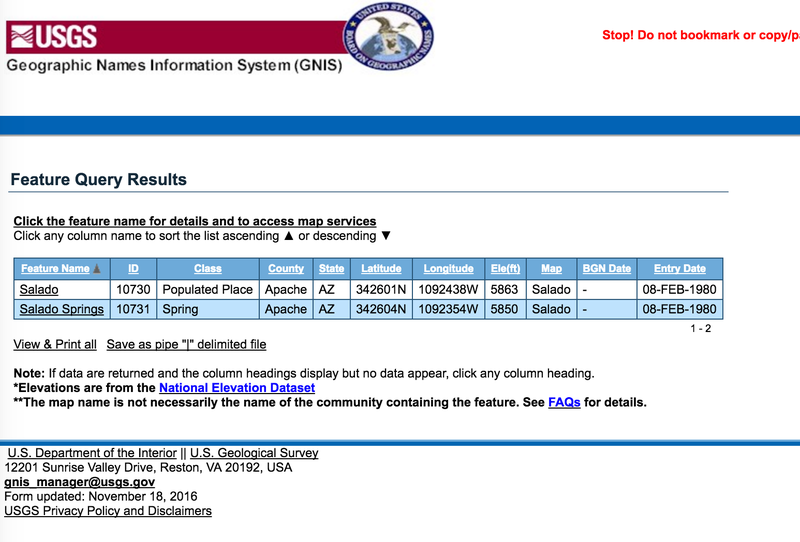 Let's suppose I wanted to find Salado, Arizona using this website. I would simply click on the Domestic names link in the left-hand menu and then click on search. Then I would do a search for Salado in the state of Arizona. 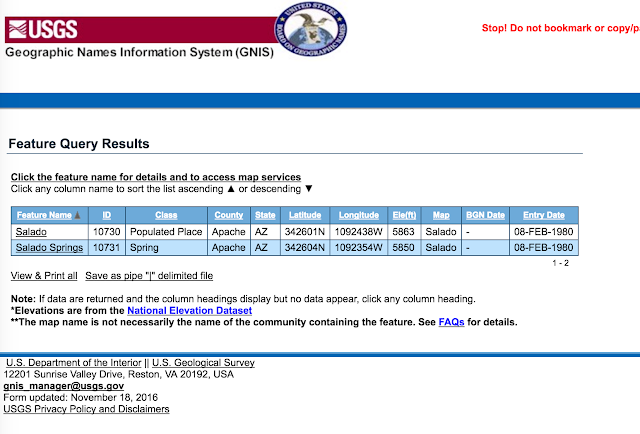 In this case, I can guess the county is Apache County. 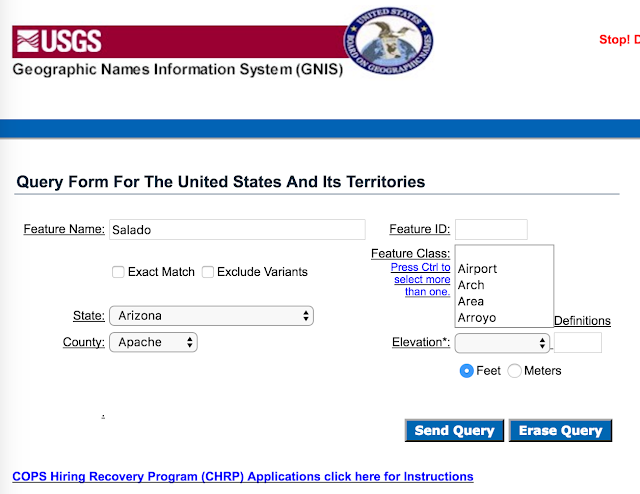 When I click on the "Send Query" button, I get a list of every place in Apache County, Arizona called Salado. 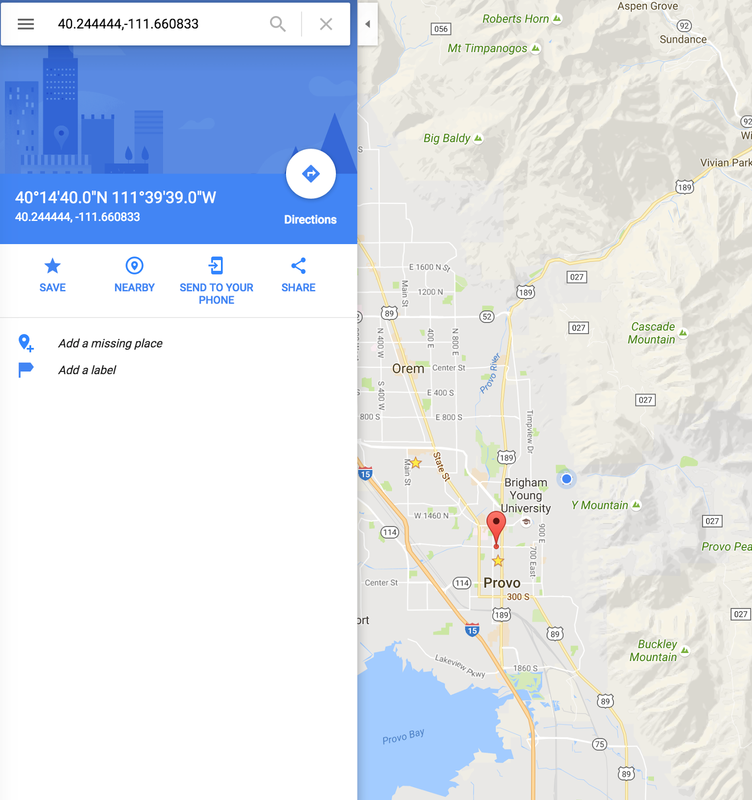 I can then click on the name of the place, Salado, and see the metric coordinates and use those to copy and then move to the Google Maps to see the location on the Map and from the street view. 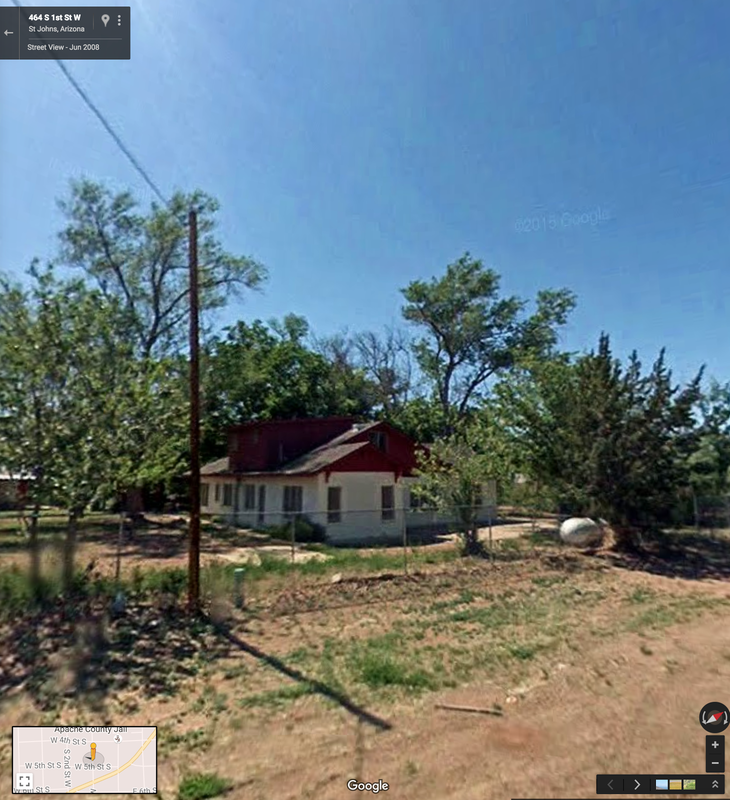 Here is the street view for Salado, Arizona.